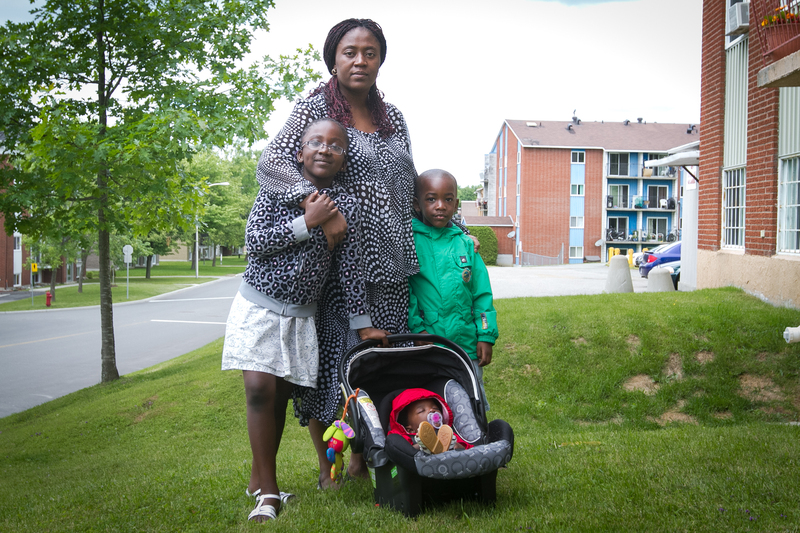 July 2, 2014, Sherbrooke & Montreal — The Pika Family of Sherbrooke, Quebec is facing forced separation if a deportation order against the mother and eldest daughter is allowed to proceed this Friday, July 4. Sarah Maggali, the mother of the family, along with their eldest daughter, Kezia Hope (7 years old) are facing removal to the Republic of the Congo on July 4, 2014. They will be separated from Pacôme Pika, the father of the family and a graduate student, as well as the two youngest children who were born in Canada: Keren Elicha (3 year old son) and Khelen Mercy (5 month old daughter). The deportation order is based primarily on two factors: i) the failure to pay an administration fee for re-establishing Sarah Maggali’s status during a period of time, during the student strike, when Mr. Pika was unable to obtain a bursary; ii) discrimination by an immigration agent against Sarah Maggali due to her diabetes. Solidarity Across Borders, which is supporting the family, believes that neither of these factors should result in the separation of a family, particularly the separation of a young mother from her small children, including a 5 month infant, and the separation of a daughter from her father. Pacôme Pika has been a graduate student in Quebec since 2008, having studied variously at the Université du Québec Rouyn-Noranda, the Université de Sherbrooke and currently the Université de Laval in Quebec City. His family followed in 2009, and since being here have settled in Sherbrooke and are active members of the community.